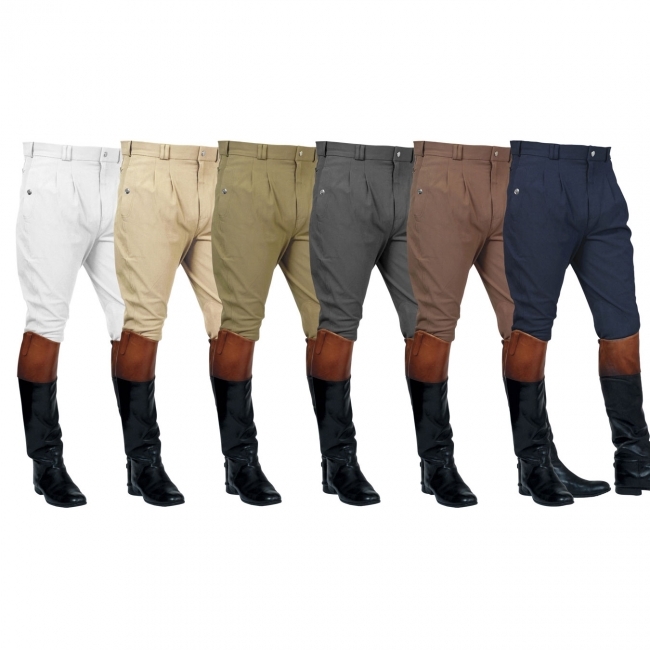 This breech offers a traditional style that is durable, breathable and above all, comfy. 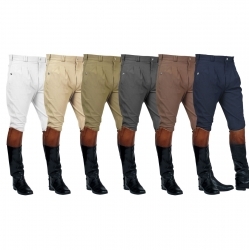 The four way stretch fabric consists of cotton, micro-fibre and spandex mixture and they are machine washable on a cool cycle. They have a self fabric Euro seat with no inner seam to prevent rubbing. They also have an ultra grip knee patch and an embossed Mark Todd logo. Other features include: wide 4cm waistband, belt loops, single front fastener with Mark Todd button, pleated front, side pockets with stud popper closure and a single back zip pocket.